The UN’s special envoy for Yemen, Martin Griffiths, is accompanying a Houthi negotiating team to Stockholm for the first peace talks on the war in the country since 2016. By staying physically close to the Houthis, Griffiths appears to have made more progress with the often divided group than any previous UN mediator. Negotiators from the Saudi-backed government of President Abd Rabbu Mansour Hadi are expected to follow the Houthis to Sweden in time for talks to begin as early as Wednesday. 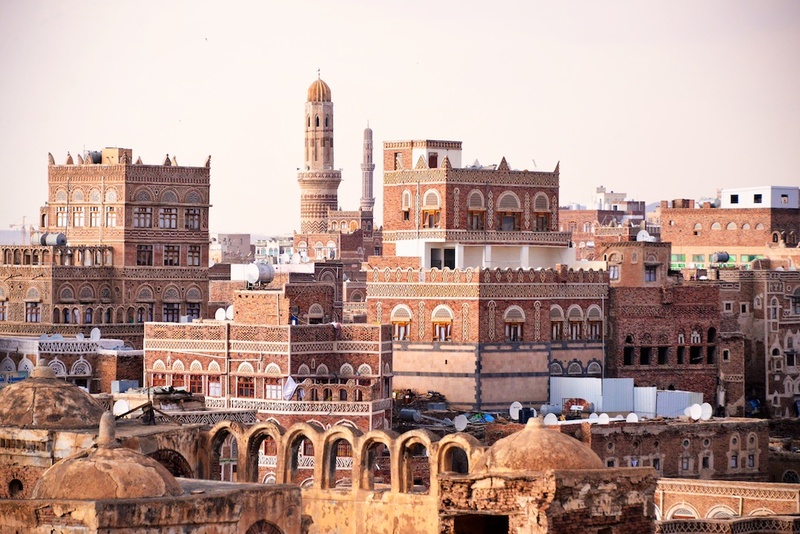 The Yemeni government has increasingly relied on Washington’s belief that Iranians have been using Yemen as a base to attack Saudi Arabia, but US senators are putting unexpectedly strong pressure on the Trump administration to end US support for the war. The UK foreign secretary, Jeremy Hunt, disclosed that UK plans to hold a vote on a new UN resolution calling for a ceasefire in Yemen have been delayed until after the peace talks have concluded. Financial Times – James Blitz / What happens once the Commons votes on May’s Brexit deal? As matters stand, few MPs at Westminster believe Prime Minister Theresa May will win the Commons’ support for her Brexit deal — and many believe she could suffer a calamitous defeat. If the prime minister loses the vote, Labour will propose a vote of no confidence in the government, which could lead to a general election if backed by a majority of MPs. Conservative MPs could also put forward a vote of no confidence in May as party leader. If both initiatives fail either to materialize or to succeed, May could seek changes to the deal and try to get it passed in a second Commons vote. If the prime minister loses the first vote by a huge margin, or is defeated on her second try, the government will be plunged into a full-scale crisis. Jeremy Corbyn and the Labour party could end up backing a second referendum if they think all other options are exhausted. But there are major obstacles: Labour would need substantial backing from Conservative MPs to ensure a Commons majority. Other possible scenarios include a Norway plus deal for the UK, which would entail staying both in the single market and in the customs union, as well as a no-deal Brexit. Climate change could do more to limit America’s global ambitions than all the advocacy undertaken by apostles of restraint. Persuading the American people to fund wars of choice will become increasingly difficult. Why? Because adapting to a warmer planet is going to be really expensive. For instance, according to the Union of Concerned Scientists, a three-foot increase in sea levels (which is well within the range of current estimates), could jeopardize the use of 128 US military bases. The costs of adapting to climate change are going to put enormous pressure on an already squeezed US federal budget, at a time when the US population is getting older, health care costs are rising, and tax cuts have become the norm. Because climate change will also affect a lot of other countries, America’s relative position may not change all that much. But climate change is also likely to exacerbate civil and regional conflicts and is virtually certain to trigger complex humanitarian crises, refugee flows, and other forms of global disorder. The global agenda is going to get messier, even as the resources available for addressing that agenda grow sparser. Just months after being pushed out of the White House, Stephen K. Bannon, President Trump’s former chief strategist, met with Chinese billionaire and dissident Guo Wengui in Washington. Since then, they have met dozens of times. The goal: bringing about the demise of the Chinese Communist Party. As Bannon sharpened his critique of China’s rise, he also began meeting privately with some of America’s leading experts on China. Few welcomed his strident remarks, according to people who attended some of the sessions. But more recently, analysts say, his positions have gotten a warmer reception. Alarmed by Gup Wengui’s social media campaign and his denunciations of the Communist Party, Beijing began pressing the Trump administration to extradite him. At the time, Bannon sided with Guo. Now, Bannon has agreed to serve as chairman of the so-called Rule of Law Fund, the $100 million effort that Guo is financing. The new China-related fund Bannon will head (without pay) will gather evidence, share it with authorities — in the United States and elsewhere — and publish it in the media. The fund also targets Wall Street banks and law firms, which Bannon says are complicit in China’s misdeeds.